Even though his mom and dad think it's a good idea to get a new rabbit, Timothy is simply not ready. He doesn't not want a rabbit! But the next morning, what shows up on the front door? A new rabbit! Despite all his efforts, the new rabbit sneaks into Timothy's house and his heart. I Don't Want a Rabbit shows how hard it can be to accept a new furry friend after losing a much loved pet. 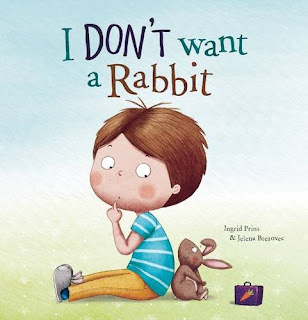 If you’re interested in reading I Don't Want a Rabbit, you can purchase a copy here on Amazon.